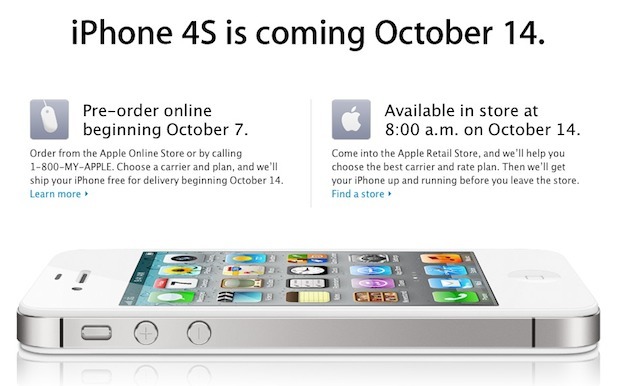 Apple has announced that the iPhone 4S release date is October 14th, but pre-orders start on October 7. 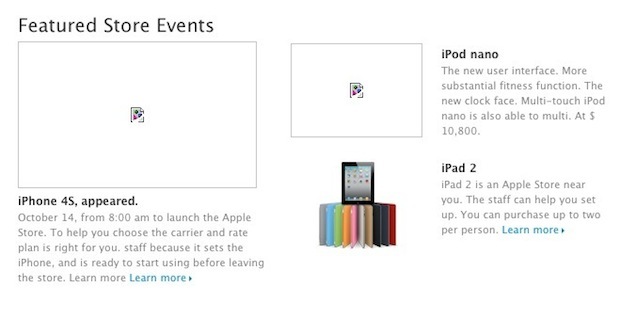 This was leaked earlier in the day by Apple Japan (see images below for that). Now if you haven’t seen them already, check out the tech specs, and new iPhone pricing which includes the 4S and reduced prices on 4 and 3GS. Apple’s Japanese Ginza store has accidentally leaked both the iPhone 4S name and perhaps more important, a release date of October 14. The original version in Japanese can be seen above, with a Google translated version in English below, which clearly says “October 14” and “8:00 am”. 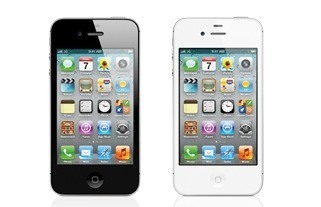 These two images labeled “iphone-4s” were found on Apple’s store website, which clearly show a device that looks just like an iPhone 4, from the outside at least. We’ll update with more information as it becomes available.